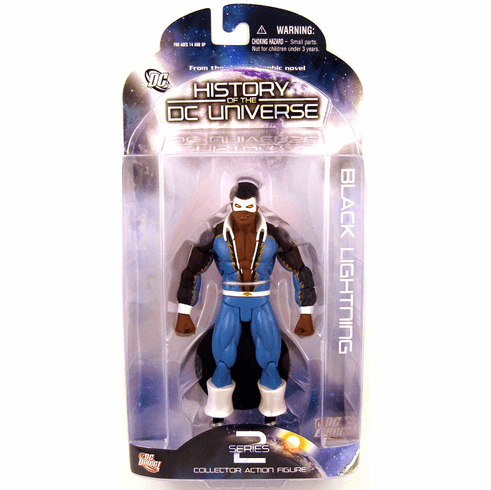 History of the DC Universe Series 2 Black Lightning Figure is based on the art of George Perez as presented in the classic book The History of the DC Universe. Black Lightning is 6.75" in height and features multiple points of articulation and a base. 4-color clamshell blister card packaging.